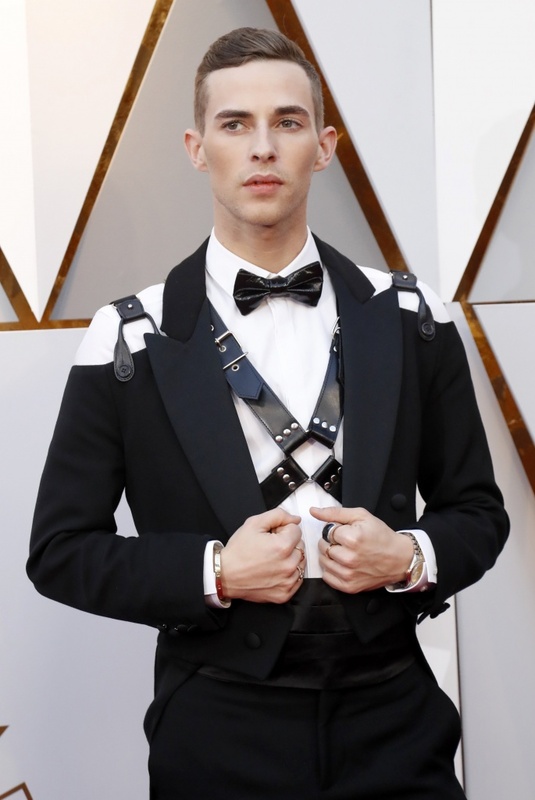 Instead, the film world’s glitterati chose what made them feel best in a celebration of fashion diversity, whether classic shapes or edgier, flesh-baring looks. 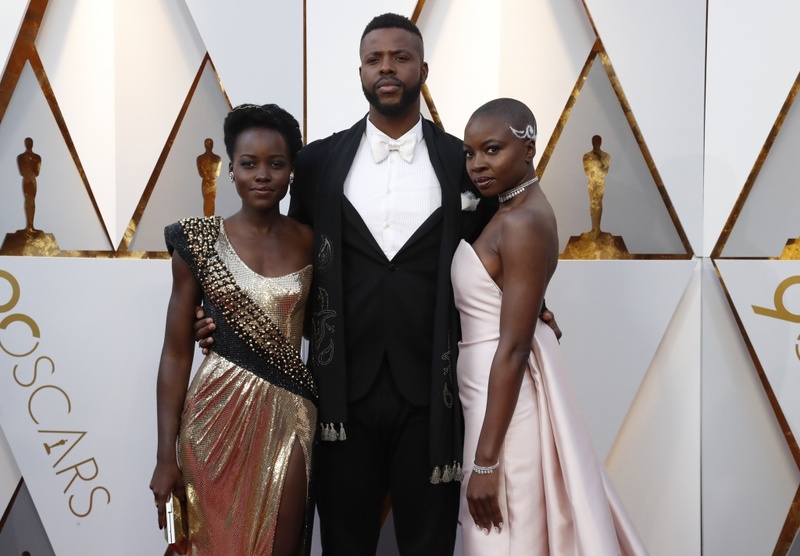 From the Louis Vuitton black trousers worn by Emma Stone to the electric pink Michael Kors gown wrapped around Viola Davis, this year’s Oscar runway was a study in contrasts that celebrated individual flair. Many of the stars wore “Time’s Up” buttons, in solidarity with victims of the sexual abuse that has roiled the entertainment industry. 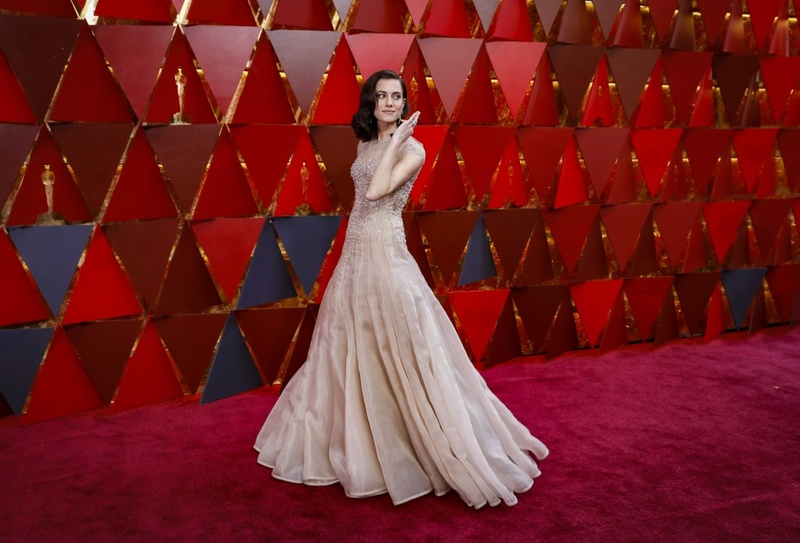 Presenter Salma Hayek, wearing a lilac Gucci dress with tiers of sequins and rhinestones worthy of “One Thousand and One Arabian Nights,” cited the female solidarity that was changing how Hollywood was run. 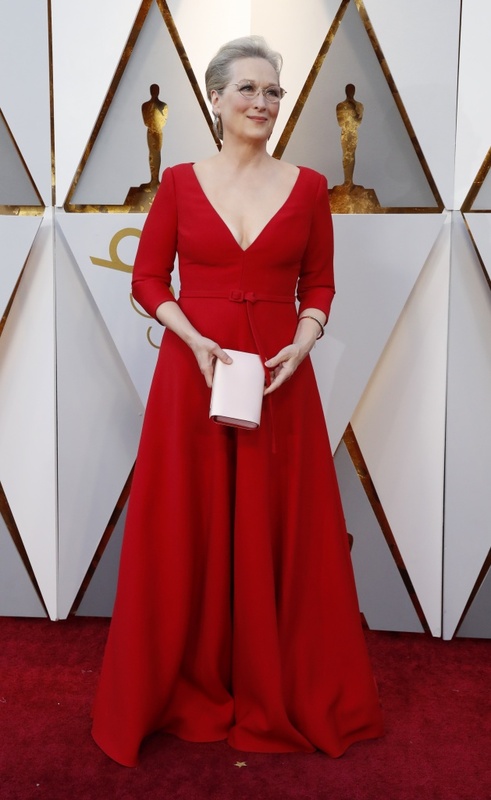 Celebrating her first Oscar nod for her performance in “I, Tonya,” Allison Janney, who went on to win the award for best supporting actress, made a statement in a scarlet red gown from Reem Acra with a deep V neckline and dramatic flared sleeves. “Get Out” star Allison Williams chose dusty pink with sparkles, a decidedly demure princessy look amid the sea of low-cut gowns. 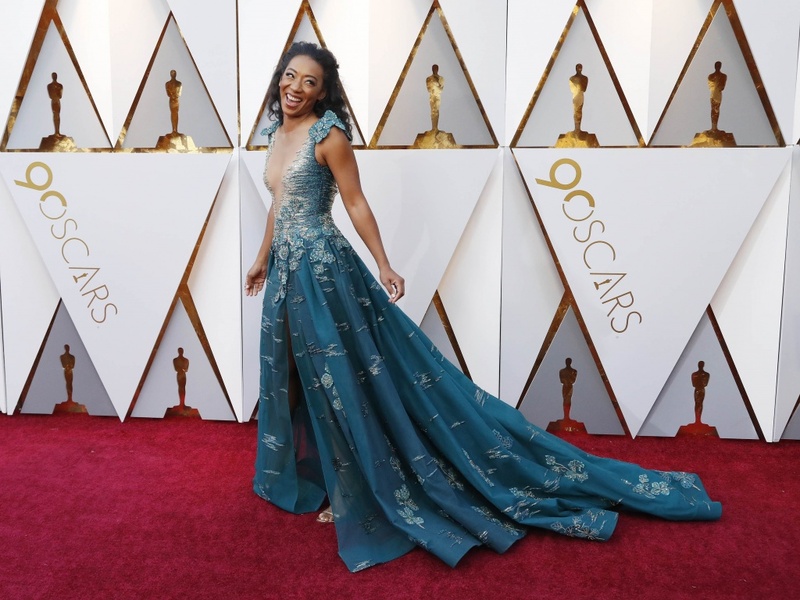 Her co-star Betty Gabriel‘s teal Tony Ward bodice left little to the imagination. 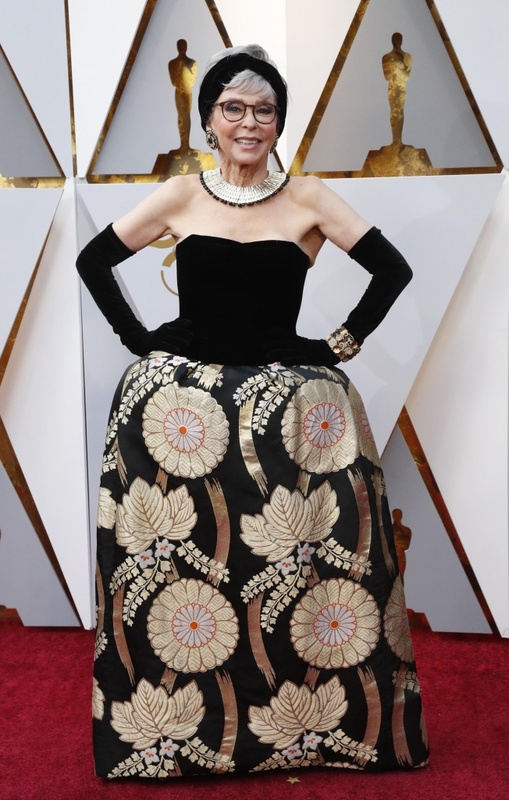 “I’m humbled by the whole thing,” said Mary J. Blige, nominated for two Oscars for “Mudbound,” wearing a form-fitting white gown with cap sleeves and sequins. “My father is from Eritrea. He passed away last year and he said one day I would end up here, and if I ever end up at the Oscars, to honor my people, so I’m honoring my fellow Eritreans,” Haddish told ABC, before beginning to ululate.